It’s every blogger’s goal: to be the worldwide web’s next overnight sensation. And it has happened to you! The project that you worked so hard on and poured your sweat and tears into is live and people love it. Your ad sales are great, your tip jar is profitable and you think you might be able to turn this blogging thing into your full time job. It’s the dream and you’re living it. Congratulations! 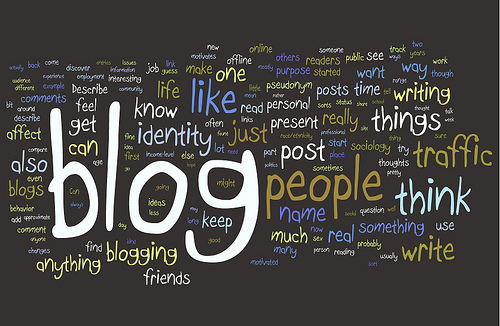 Unfortunately, the more popular you get, the more difficult managing your blog becomes. When you’ve built a great audience and a profitable site, you get a lot of attention and that attention is just as likely to be bad as it is good. And, heck, even the good attention has its consequences. Here are the things you need to do to make sure that your great and popular blog stays great and popular. The more attention you get from your audience, the more attention you are going to get from the hackers who, for whatever reason (and seriously, nobody really understands why they do this) want to ruin things. The trolls you’ve read about really do exist and a lot of them possess some great coding skills. Some of them will use those skills to take over your site and lock you out of it. Some of these jerks will use their skills to create all sorts of malware and then install it on as many sites as possible. You might have, for example, heard of the hackers that targeted WordPress sites recently. It is important, then, that you do everything you can to make sure that your site is as secured as possible. Start at the source: your server and your CMS. Make sure that they have adequate security in place and that they know how to shut down any attacks that might happen. It’s also important to make sure that they have good recovery tools in case something bad does happen to your site. Next, you’ll want to make sure that your own system is safe. Install top notch malware protection to make sure that hackers and other black hatters can’t find their way into your computer and use that to try and take down your newfound budding empire. PRO TIP: Choose malware protection that is built specifically for the system you’re using. If you’re using an Android phone, you’ll want Android-specific malware protection. If you use a Mac to build your site and content, you’ll want to install antivirus software for Mac platforms. Catch-all malware protection is okay, sure, but it uses more of your system resources than something that is built for your specific OS. All of that content you’re publishing? It takes up space on a server somewhere. Every post you publish, every comment someone leaves for you, it all uses up bytes and bytes of space. As your site and your published content expands, then, it is important that you have enough space to publish everything you need to publish from blog posts to photos to comments. There are a number of factors that will determine how much space your website will need. Make sure that the hosting provider you choose accounts for all of them (and that you have the budget for all of them). Bandwidth is, yes, a type of space. Unlike the bytes of data that a site uses up, though, bandwidth is the amount of space required to accommodate an audience. Have you ever noticed, for example, that whenever Wil Wheaton tweets about a site, it fails almost immediately? This is because the site’s host is rarely ever able to handle that many different users trying to access the site at the same time. The crowd takes up too much space. You also have to account for bandwidth because the more bandwidth you need the more money you are going to have to spend. Bandwidth is, unfortunately, still really expensive. But it is better to buy the extra bandwidth space before you need it. That way you don’t have to risk a site crash or the resulting lost sales. The higher you climb, the harder your fall is going to be. This is why it is important to start monitoring your reputation early and keeping your personal information as safe as possible. Learn how to take down false information and how to deal with bad links, etc. These are just some of the things that you have to think about when your site or blog’s popularity explodes. The good news is that, if you keep these bases covered, you’ll be free to enjoy the accolades and attention you’ve worked so hard to earn!